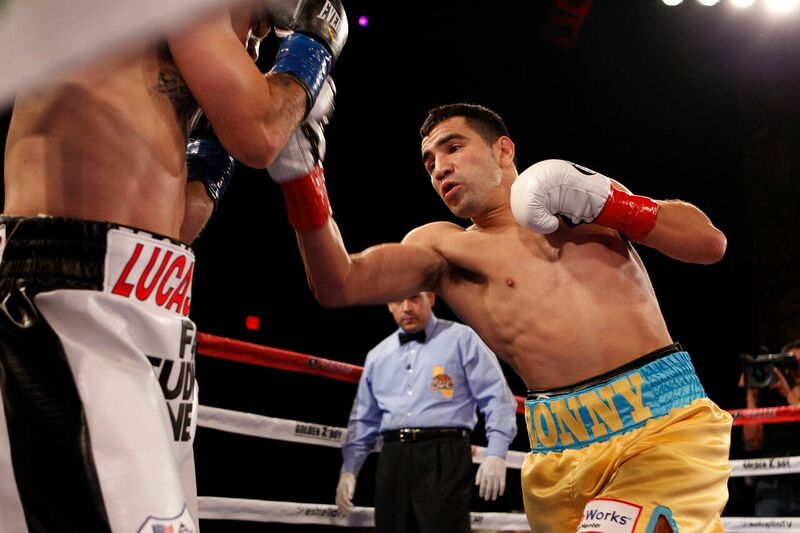 World class boxing will return to the Orange County area as local hero Ronny Rios (29-2, 13 KOs), one of Golden Boy Promotions’ outstanding talents, heads home to take on the explosive Armenian contender Azat “Crazy A” Hovhannisyan (13-2, 10 KOs) in the 10-round main event of the March 9 edition of Golden Boy Boxing on ESPN at the Hangar at the OC Fair & Event Center in Costa Mesa, Calif. ESPN Deportes will air the fights beginning at 9:00 ET/6:00 p.m. PT and on ESPN2 at midnight ET/9:00 p.m. PT. ESPN 3 will live stream the fights beginning at 7:30 p.m. ET/ 4:30 PT. http://www.espn.com/boxing/; follow on Twitter @GoldenBoyBoxing, @OscarDeLaHoya, @ESPN, and @ESPNBoxeo; become a fan on Facebook at www.Facebook.com/GoldenBoyBoxing; and follow on Instagram @GoldenBoyBoxing and @OscarDeLaHoya. Follow the conversation using #GBPonESPN.